When Nick Cole, and Jason Anspach started their endeavour of making "Making Star Wars Great Again", over at Galactic Outlaws. I though it might be interesting, but I never thought it could be so enthralling. What the series until now is, is a lot of things. It's a healthy mix of space opera, and military sci-fi, but what it is always, is worth reading. Today, I'll focus just on the first book in the series, titled Legionnaire. Best way to describe Legionnaire is to say the book is like Generation Kill but set in space on some God forsaken planet at the edge of the galaxy. That said, if you have ever seen the show, Legionnaire is better. And for the longest time I was looking for a reason why that is so. It does it's characters justice. It does the Legionnaires justice. It's brimming with protagonists who are from the get-go likable, and once you get to know them better, lovable. You root for them, you feel for them. And when they start fuming about the incompetence of appointed officers, you'll be ranting over "points" too. I would like to say there is more to the book, but I'd rather have you read it for yourself. Trust me, it's worth it. If you ever enjoyed anything like a military film you'll enjoy it, and if you like a good story about heroics in space you'll love it. 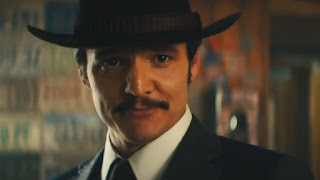 Having enjoyed the first Kingsman film, deciding to see the second one in the cinema was not hard. The Golden Circle is a worthy sequel to the first film, full of exciting action scenes, funny moments, and at times rather touching moments. So if you haven't seen the film yet, I hearthly recommend you do so. Now come SPOILERS, so consider yourself warned if you care about such things. If you don't, or indeed have already seen the film continue with no further ado. As much as I love the film for the things I praised it, I think the people behind the film could've done a better job. Not because the film is bad, but because it would be very easy and simple to take it up a notch, and make a masterpiece out of it. Namely, most of the problems I have with the film can be summed in how rushed the ending was, the cheapening of deaths of beloved characters, and trying to be political but not really. In the first film Agent Galahad (Colin Firth) died. In the second film, we learn that he miraculously survived thanks to the introduction of Kingsman sister agency Statesman. The problem with this turn of events is that from that point onward we don't really buy any death of any friendly characters. We decide that for the purpose of this film they're probably away, but in the next one, they'll probably come back alive and ready for action. This leads to a series of rather grouesome deaths for the two characters I would have loved to see in some sequel, but due to the nature of their deaths it seems rather unlikely. Merlin stepped on a landmine, and was shot and torn to pieces, while Agent Whiskey was litterally made into minced meat. Now, while Merlin went on a high note, the death of Whiskey was an overkill. Especially as it came after the main villain was already dead and defeated. His death didn't add to plot, it didn't further the story, it served nothing but to provide us with a cool looking fight scene. I hate that. The reasons why Whiskey wanted to allow the President's plan to take place is rather understandable. He lost his wife to a couple of meth-heads who robbed a grocery store. Instead of Eggsy and Galahad trying to reason with him, and explain how killing millions of people won't bring back the love of his life, or appeal to his sense of duty as a Statesman, they just kill him in one of the most stupildy profound ways. What's even worse is that all his death seems to serve is for Ginger to get her promotion as a field agent. Because "evil Agent Whiskey" was all that stood in her way. That he opposed to her becoming a field agent because he cared for her, and wanted to avoid what happened to his wife happening to her is irrelevant. 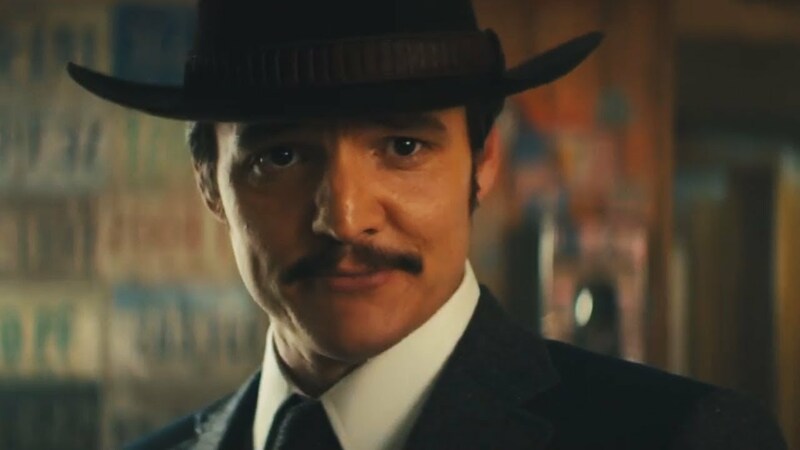 Another thing that has to do with Agent Whiskey, but is never properly established, is why Galahad shot him in the first place. Yes, in hindsight, we know Galahad was right, but as it stands, we're left with trusting his sixth sense. Maybe that works for Eggsy, but it sure doesn't work for me. The last thing, was the handling of the president. The president had a chance to be a great villain in the background for years to come. A two-faced opportunist that was willing to further his own political agenda at whatever the cost. It would be great if at the end, the President just took all the credit for saving the druggies, like he promised in the public, while raging behind the scenes how his plan was thwarted. It would've been great if they used Chief of Staff Fox to develop her into a real villain after resigning form the President's office. Instead they opted for rather unimaginative approach of impeaching the president. If that strikes anyone as feverish day-dreaming, you're not alone. As a bonus, instead of Eggsy's girlfriend doing drugs to provide a motivation for him, how about having Eggsy at the start of the film lecture his friend how drugs are bad for him. Because in all honesty, Eggsy doesn't need an outside personal motivation to stop the villain (which is done great, and meets the most appropriate end by the end of the film). Him being a Kingsman is motivation enough. Call of Duty: What's up with all the revisionism? When I first heard the next instalment of now more than a decade old franchise would be going back to World War II, I was genuinely excited. I thought we'd revisit some of the more iconic battlefields, see some new ones, maybe have the developers show how much things have progressed in all this time, and flex their engineering muscles a bit. What I did not expect is for the developers to go full retard in their attempt to appease some lunatics and their agenda for more "diversity". Especially not on the account of historical accuracy. But hey, things happen, marketing is marketing, and good press never hurt anyone, right? Well, anyone who was at least hit by a book on World War II, if not actually read the thing, would know that National Socialists did not condone women in the armed forces. Let alone black women. But lo and behold, this is what we're getting in the newest instalment of Call of Duty. Now, some will say, why take it so serious, it's just a game. No, it is not just a game. It is about keeping the facts straight. You want to have female combatants in a game about World War II, by all means. They existed all the way from Soviets to probably all Resistance movements throughout Europe. Where they did not exist, and were absolutely not black, was in the German army. But then, I'm reminded that this is a game where German soldiers won't be wearing swastikas, because Germans love to suppress their dirty little secrets. In that respect, how much damage can a black female in a German uniform really do? At some point you have to ask yourself, is this supposed to be a WW2 game? Or is it just a watered down cash-grab masquerading as a historical first person shooter? Some will say, it is just a multiplayer. The singleplayer campaign will probably be historically accurate. Once again, this is beside the point. The fact that you have it set during World War II, is reason enough to make your soldiers historically accurate. If that means no female soldiers, then no female soldiers. If that means there won't be an option to play a black guy in the battle for Stalingrad, so be it. You can play the black guy in the battle for British Somaliland (who am I kidding, they'll never let us play in British Somaliland). "[We] wanted our players, regardless of gender or ethnicity to feel they were represented in Multiplayer. The Call of Duty soldier you customize and play as should be a representation of you, your avatar in MP, and that soldier can look however you choose. Allowing players to take themselves into battle, whether assigned to the Allied or Axis factions, was a strategic decision which we believe strikes the right balance of fun and inclusiveness." The reason the developers gave is downright banal. So, now seeing a swasitka is triggering, but identifying with the National Socialists or Communists is acceptable and desirable? Give me a break. This is such a hogwash it makes my stomach turn. 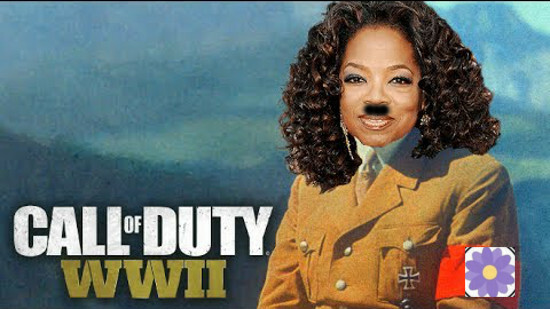 When I first heard they were revisiting World War II, I had high hopes for this Call of Duty. I thought we would finally be able to see some of the German, Soviet, and Italian campaigns that are always sorely missing. After all, the war did not start with the D Day in 1944 AD, it started in September of 1939. I can't be the only one who thought of playing through the Winter War between Finland and Soviet Union, or the Greco-Italian War between Greece and Italy, or even the German invasion of Poland. All of these are as of yet unexplored venues. World War II is not just a school trip over the battles of Band of Brothers or Enemy at the Gates, it is much more. I am certain, the developers have the talent and manpower to make all the fronts and battlefields as interesting and engaging as any other - if only they cared enough. But no, what they care about is submission, and what they pay attention to is rabid SJWs who only want to mold the world to match their perception. How warped and inaccurate the end result turns out to be, is something they do not concern themselves with. They, after all are not the ones who will be playing the game anyways. Just like they don't watch the films they push, comics they destroy, or books they poison. Because the medium of choice for SJWs is just the tool with which they spread their cancerous ideology. Some might like that, I don't. I'm through with this franchise, and if you care for either historical accuracy or just the state of gaming industry, you should be too. 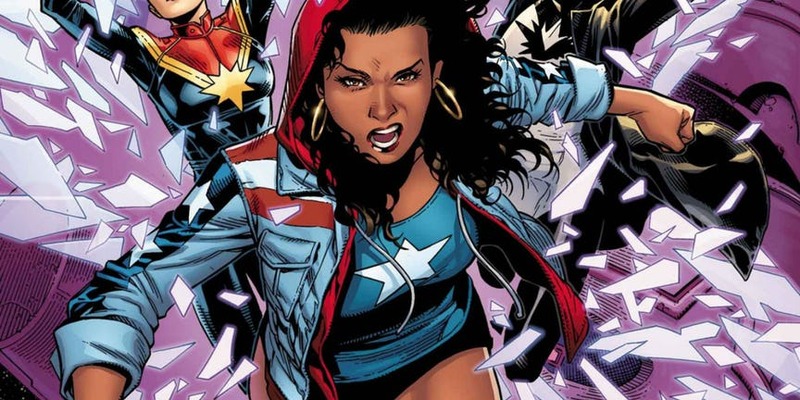 After back in March Marvel's VP of Sales David Gabriel hinted in an interview that the reason for dwindling sales might be the readers' dislike of diversity, it was only a matter of time before they would do something about it. As always they were wrong, and at least partially right at the same time. This is all my opinion so you can take that for what it is. But what is most important thing, is that Marvel is finally taking the right steps out of this mess they got themselves into. To start at the beginning, readers never had any problem with diversity. They had problems with revisionism. If you grow up reading the stories of a certain character you know that character in and out. And when a certain busy-body comes along proclaiming that he knows better and changes your favourite superhero to some unrecognisable abomination, the readers end up dissatisfied as they feel betrayed. All the years they invested in this hero become worthless with a blink of an eye. Stories of superheroes are the modern myths. To compare the likes of Homer to the talent at Marvel might be too much, but the cultural impact is the same.We all know that Superman is Kryptonian who lost his planet, that Batman is an orphan who intimidates the crooks in Gotham, and that Wolverine has a bad temper and a set of claws to match it. The owners of the intellectual property might be the owners of those heroes on paper, but it is the collective people's perception that owns them in reality. So when Marvel started their revisionist jihad against some of the most beloved superheroes in their universe, readers were up in arms. You can't have a female Thor, Puerto Rican Spiderman, black female Iron Man, Muslim Miss Marvel, or have someone else take over for Captain America. It doesn't fly with the readers who already have established who is who and what is what. It's betraying their trust. For the longest time the opponents of these changes maintained that they do not care if Marvel wants to push new characters, as long as the old favourites stay recognisable as what they were since their first inception. Finally it seems Marvel listened, when they launched a comic with Miss America in the title role. Now the description of Miss America reads like any other SJW's screed on identity. She is a Latina, lesbian, who is splits her time between attending college and fighting aliens, if she's not too busy protesting some non-cause (that last part is my invention). I have no doubt this comic will crash and burn just like all the previous revisionist attempts. How would it not, when even the loudest cheerleaders for such heroines among the SJWs openly admit they do not read these comics? But what is more important, and needs to be applauded is the fact, that Marvel made a move in the right direction. They are creating the new characters, new heroes with which they want to attract the readers. Now it is only a matter of time before they realise it is not all their imaginary check boxes that matter, but instead good stories. Question remains, will Marvel realise this anytime soon, or will they spend next 15 years figuring out why their cardboard characters do not interest the remaining few readers? 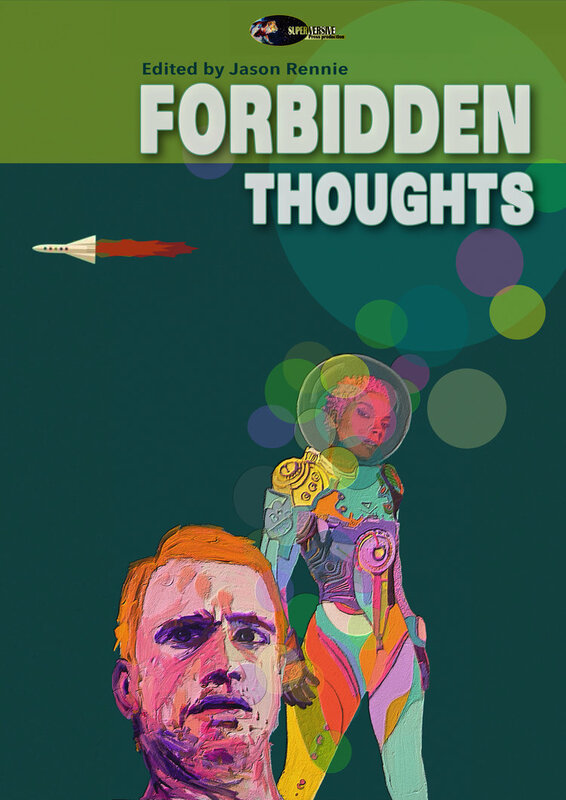 It's been almost a month since I first read the anthology of short stories titled Forbidden Thought. I've been meaning to write a review of it as soon as I finished reading it, but I found it difficult at first, not really knowing how to tackle the whole topic. In many ways, I am grateful for that. Had I written about it immediately, all I could say about the book is that the quality of the stories varies, some are entertaining, some not so much. But when I think of it now, that would be a gross understatement, and rather unfair conclusion on my part. Thus I am grateful for the delay after which I am finally writing this review. The stories range in length, theme, and scope. There is some poetry, and some essays, but most of them are short stories, and really good at that. Some are very small-scale, dealing with the life of one character, while others span the universe, space and time, and even across space and time. The common theme through all of them is to simply take an established idea of our time, and run it to its logical conclusion in order to see what happens then. And it is that kind of courage I missed for some time from the contemporary Science Fiction. As Kant put it, Sapere aude! To dare to think, to dare step forward and proclaim the emperor has no clothes. And that simple mission this anthology accomplished without a fault. 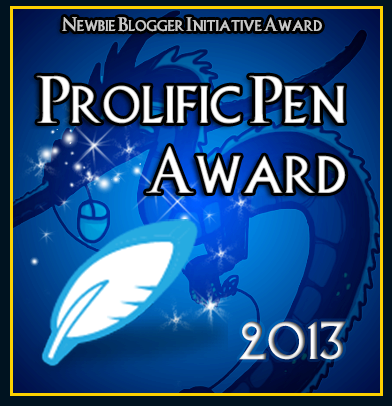 What surprised me the most was the nuance of the stories in the anthology. I came to call it a difference between loud and silent stories. The first are with you from the get-go. You read them, you grasp the idea behind them, and you move on thinking about it ever so often. But it is the quiet ones that over a month I still kept pondering on, thinking about them and ruminating until I reached a satisfying conclusion. The stories in question, truly do reflect the title of the anthology. The way how John C. Wright takes the reader on a philosophical journey across space and time in By His Cockle Hat and Staff, or how there is a silent promise of hope in Hymns of the Mothers by Brad R. Torgersen. I don't know how to convey this. It isn't that those stories that are obvious from the get-go are better or worse from those who are more subtle. It's the combination of the two, that makes the whole entity harmonious as a result. It is a nuance that makes you appreciate the beauty of these stories. That alone is well worth the price of purchase. 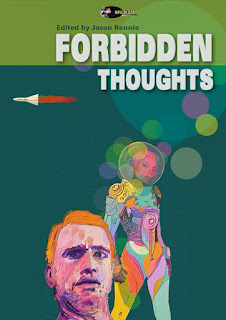 You can find the Forbidden Thoughts on Amazon. With some people you can reason, some you can persuade, but for some not even a stick is good enough. These days rioting seems to be in fashion. Wherever you turn your eye there seems to be a protest in place, as long as you don’t see the picture and realise it is in fact rioting, not protesting taking place. One thing to make clear from the start, protests are inherently peaceful and thus not violent. Riots are the opposite of it, they are inherently violent and thus not peaceful at all. As soon as a group of people starts destroying private or public property, harassing or attacking other people, they lose any right to call themselves protesters and should be treated accordingly. That is, like criminals who do not belong on the street but in jail. I would advocate that the institutions in power stop treating them as children by just letting them wantonly destroy everything in their sight and beat whoever they seem fit, and instead enforce the Law. Even with the iron rod if need be. They deserve it. This only continues because the authorities decide the mob is not worth the hassle. But that is in its entirety deluded approach. What they need to do is prosecute the violent rioters, those that attack innocent people, those that destroy other’s property, those that organise these riots, and in the end even those and especially those who finance them. Only when they will be severely punished and their lives and prospects for the future sufficiently ruined will that serve as a good deterrence for the rest of these mobs who were entertaining such ideas. Those perpetuating these crimes need to experience the pain, the anguish, the anxiety, and the fear they inflict on any innocent outsider or even bystander by their horrific behaviour. They deserve every broken jaw, every drop of tear gas, and every day of their sentence serving in prison. They broke the social contract, and thus deserve the worst the state can inflict on them. It is after all, them themselves who inflict this upon themselves. But as it stands right now, it will take some time before anyone decides to take a decisive action. What is more likely, is that with the sudden reemergence of Antifa in every riot featured in the media, that their counterparts will start seeking them out knowing they have nothing to fear. The media who is currently in their delusional state cheering Antifa on, ignoring the consequences of their actions will have a different opinion of those that take Antifa up on their offer for violence. But that will not be enough. In the end, for this to stop in its tracks, the pressure will have to come from the top. That means the government will probably have to intervene and threaten to cut funding to the cities and college campuses where the riots are not dealt with away in a swift and decisive manner (I didn’t even finish writing this article when President Trump already took to twitter with that in mind). When it comes to college campuses, the donors present an additional pressure point. While in general it might stand that any kind of publicity is good publicity, that is far from true for colleges. After the protests on the University of Missouri the enrolment rate plunged by 20%, costing them approximately $32 million, thus forcing the University to entertain some budget cuts. Not to mention, the donors and past Alumni were not happy with the negative publicity of their Alma Mater being dragged through mud. And those were just protests. Now entertain the idea, what the University of Washington, or UC Berkeley are in for next year, after the riots that took place there, and made it into national news. The faculty of both universities came out openly against free speech. UW has to deal with a shooting in self-defence, all while no guns are allowed on the campus, thus casting doubts at the efficiency of the campus security. Berkeley on other hand has a PR-disaster on their hands that will tarnish their name for quite some time. What used to be the home of free speech is home no more. Smashing ATMs, bank windows, assaulting people, setting fires, pepper-spraying innocents, and looting a Starbucks being just some of the long list of crimes the rioters got away with unpunished. Can we just for a moment stop and think how unhinged these rioters are when they scream: “F*ck Starbucks! F*cking Zionists!” while claiming they are anti-fascist, “protesting” against the speech of a homosexual of jewish descent? But fret not, we know very well, that the media can’t help themselves but making news out of every tweet President Trump makes. And if the rioters end up not answering for their crimes, then the UC Berkeley will for enabling them, by hitting them where it hurts the most, their wallet. And for the American colleges, that long since stopped caring about education in favour of indoctrination all while filling their pockets, there is no punishment more appropriate.